DRISCOPLEX® remains a leading provider of proven solutions when working with HDPE pipe. 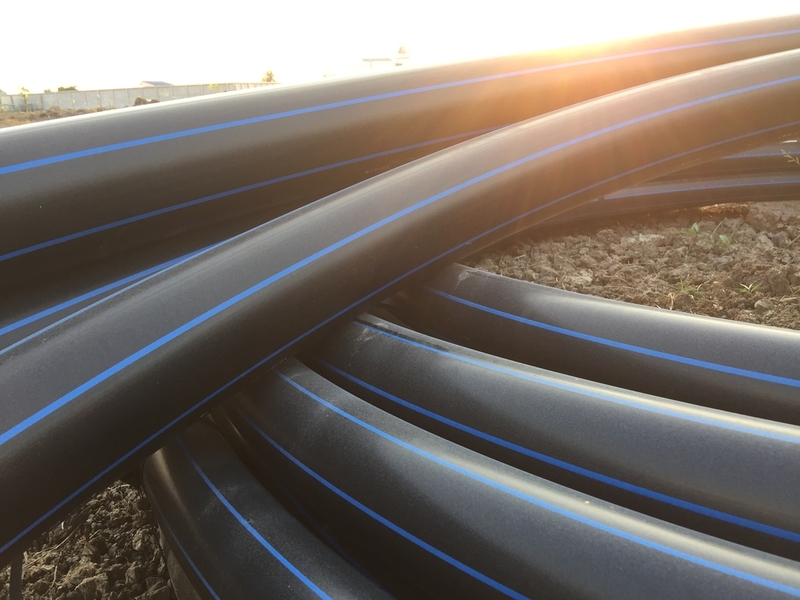 The 1700 Series Mining Stripe Pipe is made from the highest rated material (PE4710 resin) which has earned a sterling reputation for its durability and resistance to chemicals or abrasion. The 1700 Series ASTM D3035 or ASTM F714 for 3″ IPS (90 mm) compliant. The DRISCOPLEX 1700 series is made of a co-extruded pipe with a single stripe marked along the pipe’s entirety. Its primary usage is in gravity flow or pressure rated mining scenarios but its versatility also allowed it to be used in a number of HDPE pipe applications including mine dewatering, coal, process slurry, iron, dust suppression, limestone, sand, and more. Do you wish to learn more about how DRISCOPLEX HDPE pipe can help you with your job site or construction project? One of our team members will gladly provide you assistance in determining the right pipe for your project needs.